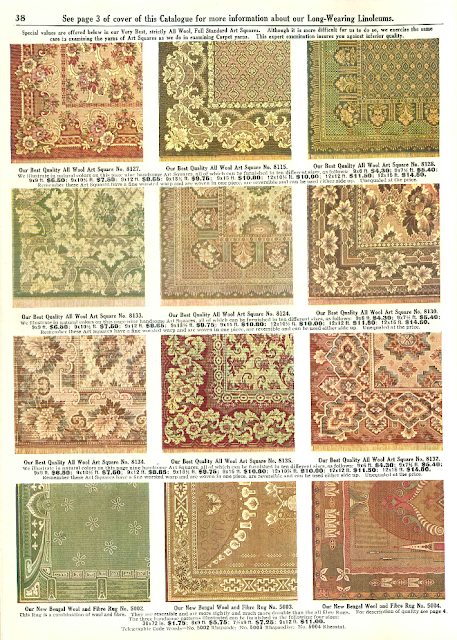 Once upon a time I thought I needed to buy some expensive "arts & crafts" style rug to correctly finish my restored home. 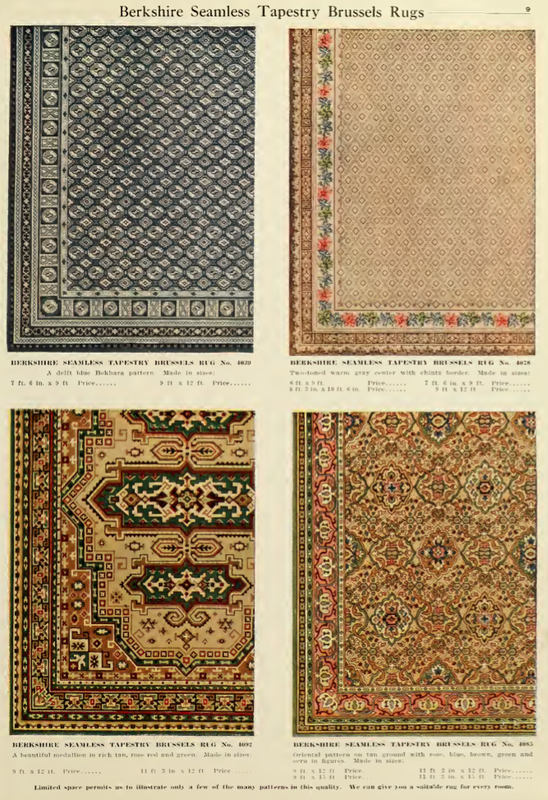 But my recent research through old rug catalogs has convinced me that most any generic traditional style rug is appropriate. 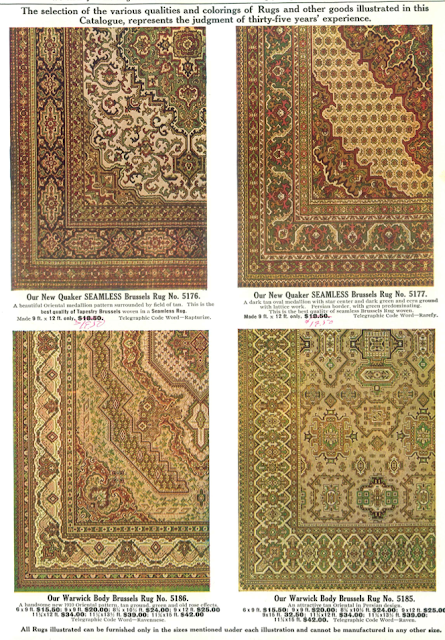 Machine made rugs were also available by the early 1900s, so there is no need to spend upwards of $3000 per room on hand-knotted rugs. 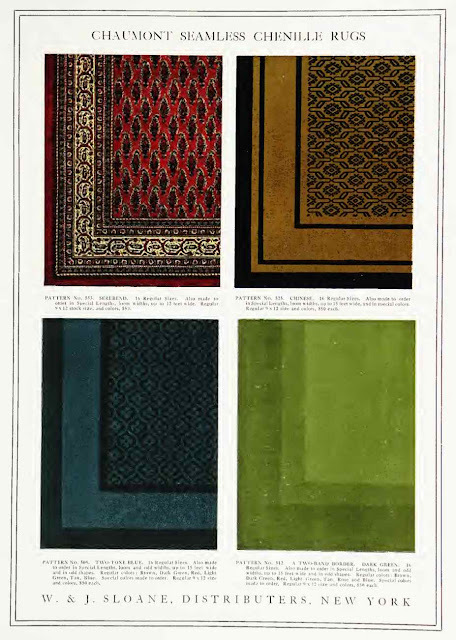 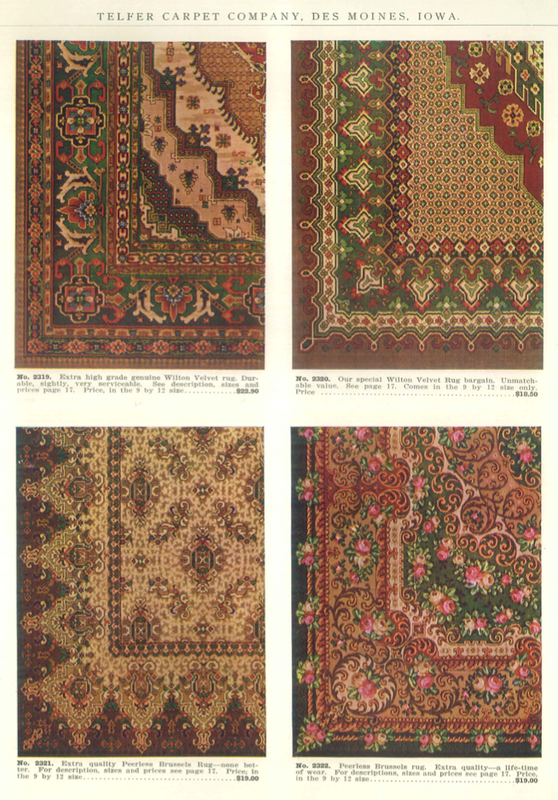 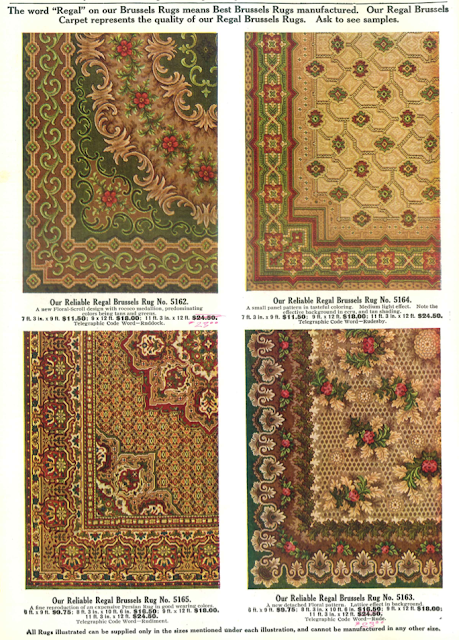 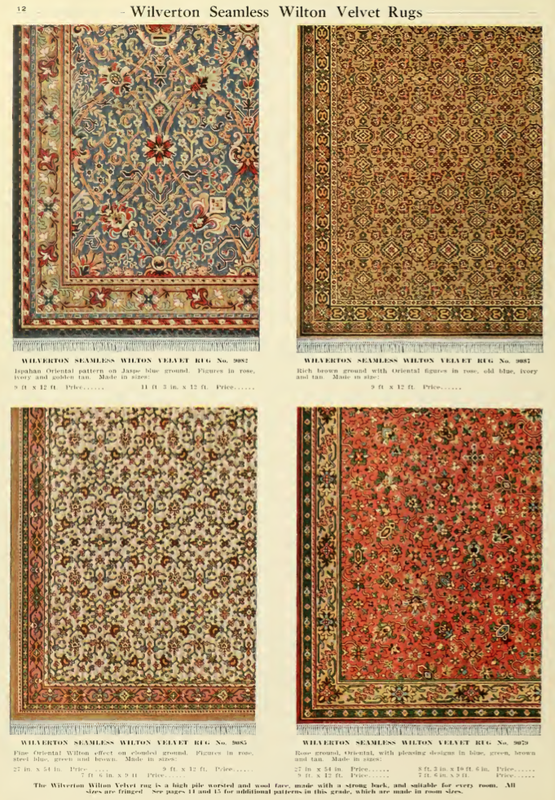 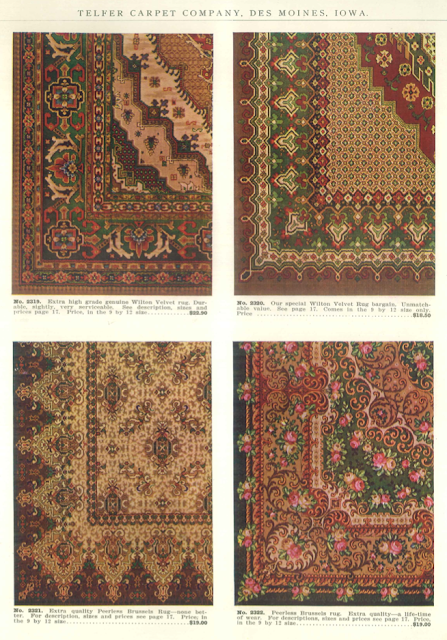 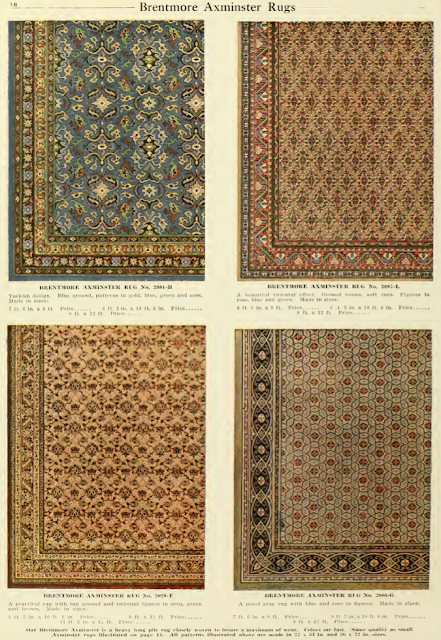 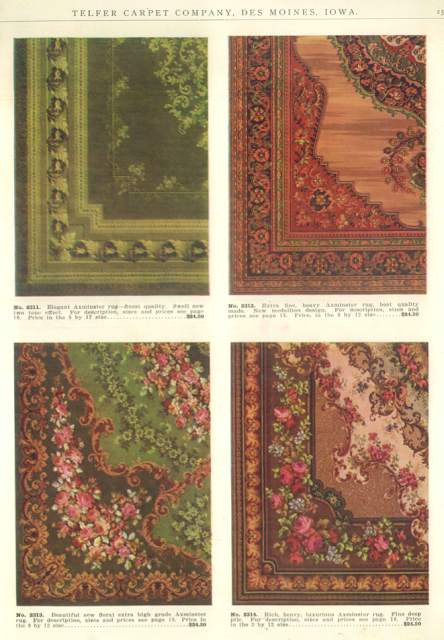 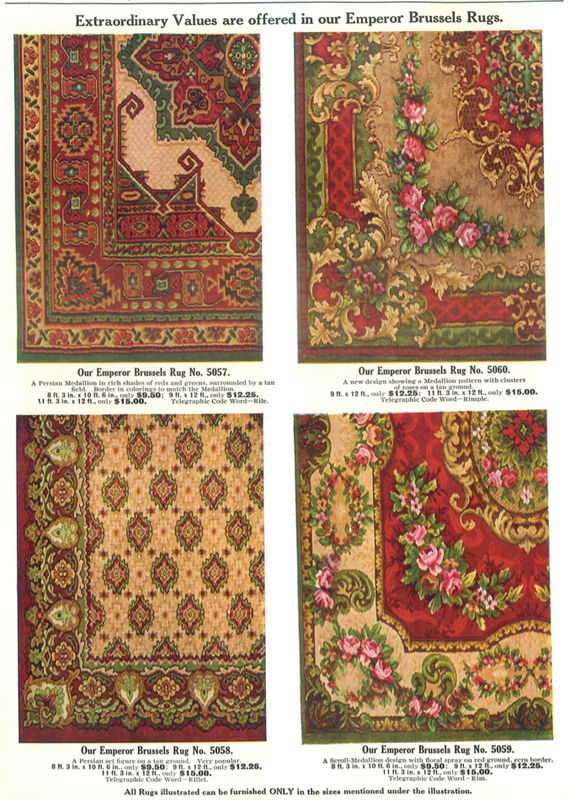 Illustrated booklet featuring Rugs, Draperies and Victrolas by H.A. 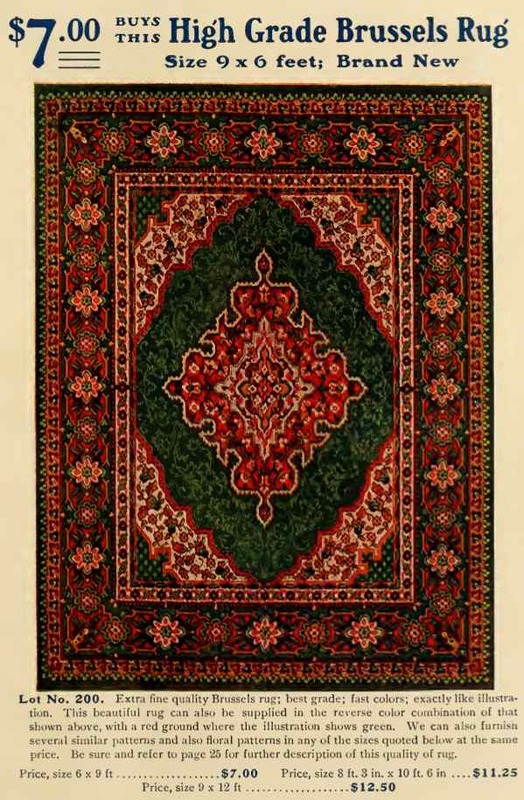 Herz. Illustrated Catalogue for 1909 by Bigelow Carpet Company. There are more trade catalogs that include rugs, but this is a good start. My skim through these catalogs convinces me pretty much anything goes—southwestern, flowery, plain, traditional persian . . . you'll find it in one of these catalogs. 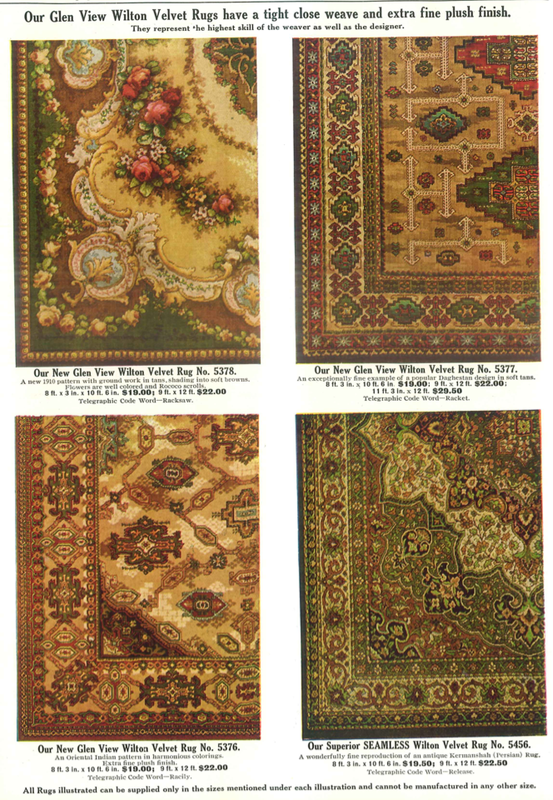 Again, here are some examples of rugs I copied out of the catalogs. 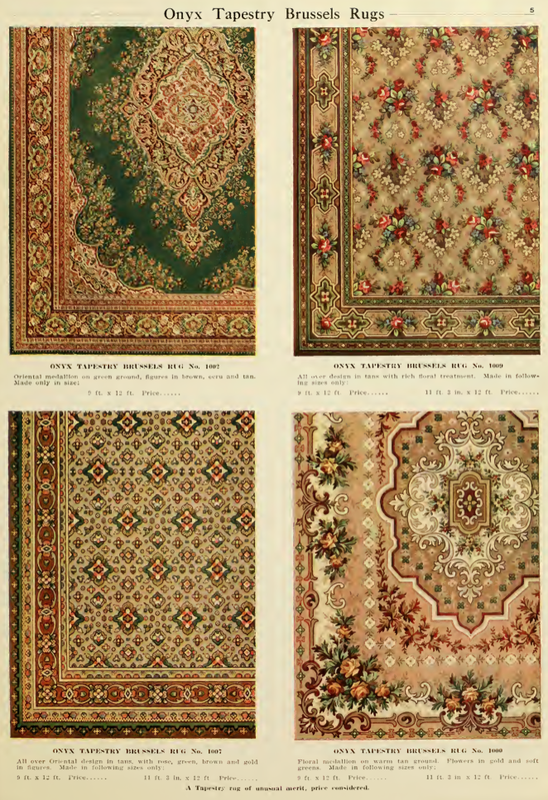 There are literally hundreds of options, but I figured this was a good start to give you all the idea. Don't get me wrong, I still want to buy a special arts & crafts donegal rug, but I have no illusions about it being a want, rather than a need.